Learn how to evaluate multiple opportunities using a consistent method in this hands-on interactive workshop! 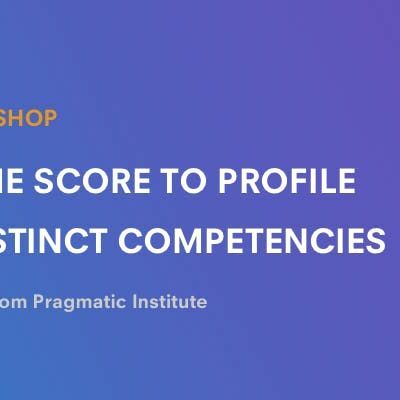 Distinctive competence is a powerful concept that guides strategy. Rather than a theoretical exercise, an understanding of your organizational competences can help focus and prioritize new opportunities. What are your organization’s exceptional capabilities? Are they truly unique or significantly better? Are they valued by your customers? Can you prove it? 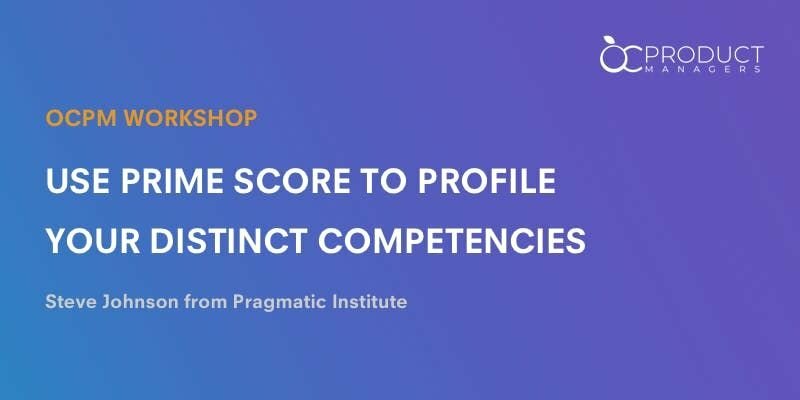 In this workshop, Steve Johnson of Pragmatic Institute (formerly Pragmatic Marketing) will introduce their PRIME SCORE technique to inventory your distinctive competences and use them to determine which opportunity to pursue, describing and rating opportunities against ten factors. Bring three or four product ideas to the session and we'll use PRIME SCORE to determine which to pursue first. $99 - Coworkers Package - Bring two co-workers for a total price of $99. Webster University is at 32 Dimension in Irvine, on the second floor, Itis conveniently located between the 5 and 405 freeways, near Sand Canyon Road. Steve Johnson is an author, speaker and advisor on product strategy and product management. His approach is based on the belief that minimal process and simple templates result in nimble product marketing and management. Steve was a founding instructor at Pragmatic Marketing, a role he held for more than 15 years. In 2012, he started an independent consulting firm where he provided implementation assistance to product teams. Returning to Pragmatic Institute as vice president of products, Steve supports the complete learning path for product teams, ensuring they are fully armed for success.